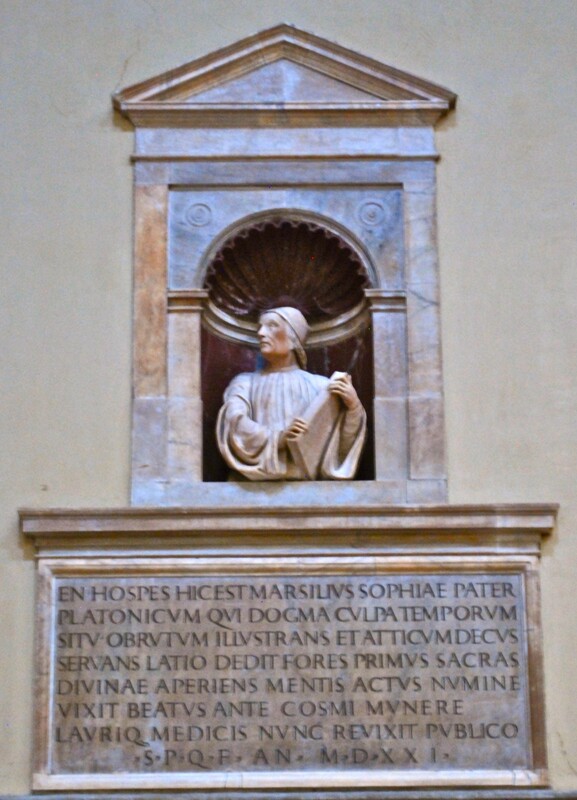 Marsilio Ficino inherited many philosophical principles both from the Medievals and from the ancient Platonists that he wished to emulate. One of these principles is quidquid recipitur ad modum recipientis recipitur, that is, “whatever is received is received according to the mode of the receiver.” In application to theology this means that divine knowledge is received by the angelic intellect in a specific angelic mode (i.e., by pure intellection) and by humans in a specifically human mode (i.e., through concepts abstracted from sensible qualities). In his commentary on Dionysius’s Divine Names, Ficino explains this principle as a necessary outcome of the human duality of body and soul. Because the intellect must first gain sensible images from the senses in order to know immaterial realities, so it was necessary for God to accommodate the heavenly light to the human sensation of vision in his revelation of himself to man. He did this, argues Ficino, in the Holy Scriptures. Quod lucet in Deo tanquam Solis mundani Sole, super essentiae & intelligentiæ limites, non tam perscrutari quam venerari debemus. Mentisque oculos immensam hanc lucem minime sustinentes, hinc ad sacras literas tanquam ad cœlos flectere. In quibus nomina sunt cognomentaque divina tradita divinitus, velut stellæ oculis nostris accomodatæ, ex quibus sane stellis nobis emicant propriæ Dei vires & appellationes laudesque divinæ, tanquam Solis, virtutes in stellis. Ex hoc denique sedulo pioque studio duo quædam potissima reportamus. Primum quidem, quod divinos radios hinc haurimus nostro ingenio congruentes. Secundum, quod divinum Solem radiorum eiusmodi sacrum fontem, ut Deo placet, rite laudamus. In nominibus appellationibusque divinis divinitus videlicet traditis, mirabiles latere virtutes, tum ad divina mysteria declaranda, tum ad mirabilia perpetranda Hebræi omnes existimant, & Zoroaster Iamblichusque confirmant. We will more simply and safely view divine things if we turn the vision of the mind to the Holy Scriptures, than if we more presumptuously steer into God himself. We ought not so much investigate as worship the light which shines in God, just as the light of the sun of this world, beyond the limits of essence and intelligence, and we ought to turn the eyes of the mind (by no means holding this immense light) to the Holy Scriptures as to the heavens. In [the Scriptures] are the divine names and characteristics handed down by divine influence like stars accommodated to our eyes, because of which the particular divine powers, titles, and merits of God truly shine forth to us just as the powers of the Sun [shine forth] in the stars. From this we relay, in short, two most powerful [principles] to the one diligent and pious in devotion. First, we take in the divine rays from here in a manner suitable to our nature. Secondly, that we solemnly praise the divine sunlight, the sacred font of these rays, that it might please God. All of the Jews believe, and Zoroaster and Iamblichus confirm that wonderful powers lie hidden in the divine names and titles which were clearly and divinely handed down, whether for the sake of declaring divine mysteries or for accomplishing wonderful things. 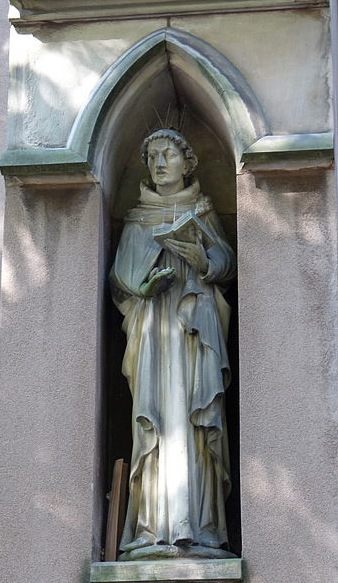 Many modern interpreters of Ficino have labeled him as a philosopher to the exclusion of his theological writings. Others have recognized his devotion to “religion” and argued that Ficino promoted a purely naturalistic religion while excluding from the discussion his explicitly Christian theology most clearly propounded in his lengthy confession De Religione Christiana, which Amos Edelheit refers to as the “manual” of humanist theology. In his commentary on the Divine Names, Ficino shows his orthodoxy, which is partly why his commentary on the Corpus Dionysiacum was included in manuals of piety alongside the comments of other authorities such as Maximus and Eck. A pagan master, Proclus, has this to say on the subject [of the imago Dei]: “As long as man is occupied with images inferior to himself, and as long as he does not go beyond them, it is unlikely that he will ever reach this depth. It will appear an illusion to really believe that this groung exists within us; we doubt that it can actually exist in us. Therefore,” he continues, “if you wish to experience its existence, you must abandon all multiplicity and concentrate your attention on this one thing with the eyes of your intellect; and if you wish to rise higher, you must put aside all rational methods, for reason is now beneath you, and then you may become united with the One.” And he calls this state a divine darkness: still, silent, at rest , and above all sense perception. Beloved, it is a disgraceful thing that a pagan philosopher understood and attained this truth, while we are so far from both. Our Lord expressed the same truth when he said: “The kingdom of God is within us.” – Tauler, translated by Maria Shrady in Johannes Tauler: Sermons, The Classics of Western Spirituality, (Paulist Press, 1985), 105. Tauler lehnt die thomistische These ab, die Gottebenbildlichkeit der Seele bestehe in der aktuallen Entfaltung ihrer Seelenvermögen (Gedächtnis, Verstand und Wille), und betont, das Bild Gottes liege vielmehr »in dem allerverborgensten tieffesten grunde der selen«, wobei er sich ausdrücklich auf Proklos … und stillschweigend auf Dietrich und Berthold beruft […]. Die Lehre Dietrichs, die er für sich in Anspruch nimmt, ist seine bekannte Identifizierung des Bildes Gottes mit dem »abditus mentis« Augustins […]. Die Lehre des Proklos ist die des »unum animae«, in noch ausführlicherer Weise im Rahmen der Erklärung des Begriffes vom Gemüt … dargestellt wird […]. Tauler macht sich das Proklische »unum animae« zunutze, um der Interpretation des »abditum mentis« im Sinne des Intellekts, die Dietrich von Freiberg – einem Motiv Alberts des Großen folgend – vorgetragen hatte (Tauler kennt sie…), die Deutung des »abditum mentis« als transintellektuelles Prinzip gegenüberzustellen […]. Hierbei zeigt sich Tauler als vom philosophischen Denken Bertholds von Moosburg abhängig, denn er interpretiert die Proklischen Texte zum »unum« in einer Weise, die bei Berthold, und nur bei ihm, eine genaue Entsprechung findet… Unter dem Gesichtspunkt der damaligen deutschen philosophischen Debatte betrachtet, ist Taulers Übereinstimmung mit Berthold als eine Stellungnahme gegen den Thomismus anzusehen, welche die in der Dominikanerprovinz verbreitete Stimmung reflektierte, die ihre markanteste Erscheinung im Prokloskommentar des Moosburger Lektors fand… – Loris Sturlese, Homo Divinus: Philosophische Projekte in Deutschland zwischen Meister Eckhart und Heinrich Seuse, (Kohlhammer GmbH: Stuttgart, 2007), 194, 195). Tauler rejected the thomistic position, that the image of God in the soul consists in the actual development of its faculties (memory, understanding, and will), and stresses , that the image of God lies, rather, “in the completely hidden, deepest ground of the soul,” whereby he makes explicit reference to Proclus … and by implication to Dietrich [von Freiberg] and Berthold [von Moosburg] […] Dietrich’s theory, which [Tauler] claimed for himself, is his well-known identification of the image of God with the “abditus mentis” [the hidden depth of the mind] of Augustine. Proclus’s theory is that of the “unum animae” [the one in the soul], depicted in a yet more detailed way in the context of the representation of ideas from the mind. Tauler made use of Proclus’s doctrine of the “unum animae” in order to counterpose the interpretation of the “abditum mentis” as properly intellectual – and Tauler knew that Dietrich von Freiberg followed the motive of Albert the Great in handing down this concept – with the reading of the “abditus mentis” as a trans-intellectual principle. By this Tauler shows that he is dependent upon the philosophical thought of Berthold von Moosburg, because he interpreted the text of Proclus regarding the “one” in such a way that one finds an exact equivalent [of it] in Berthold’s work and only in his work. When viewed from the perspective of the German philosophical debate of the time, Tauler’s agreement with Berthold is seen as a reaction against Thomism, which reflected a common attitude in the Dominican Order and which found its most marked appearance in the Proclus-commentary of the Moosburg lecturers.